The creative process is an interesting thing. It’s completely internal for a long time before anything actually gets done. For many, it’s this internal processing that kills ideas before they even get started. 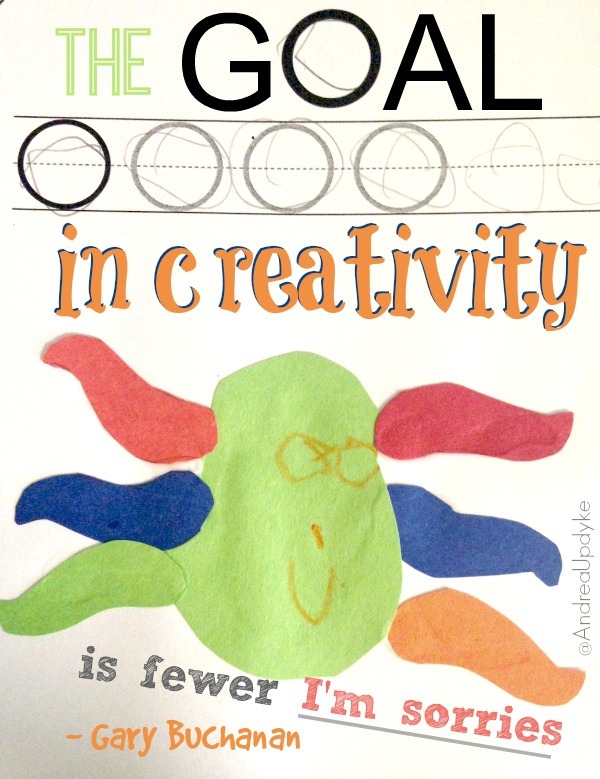 I love watching my children be creative and when I am lucky enough myself to have a creative moment or two, I thrive. As I get older, I know I have slowly traded creativity for deadlines (which I just typed as dreadlines by the way), obligations, guilt and scheduling. We all do it. Even though most of my job is creative, I still struggle with that trade-off. This is why I love being inspired by my kids. Raising my boys is a literal window into an untapped resource of endless creativity. Parenting requires a lot of flexibility and I guess you could say I am starting to get very bendy. 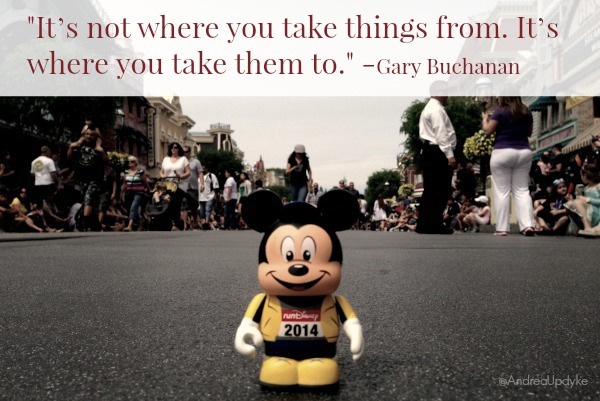 I was digging back through my notes from the Disney Social Media Moms Celebration and I wanted to share some of my takeaways on the creativity session from Disney Parks. Whether you are actively creating content like a blog or video or simply need a little boost for a long summer of parenting, let this get inside your head. 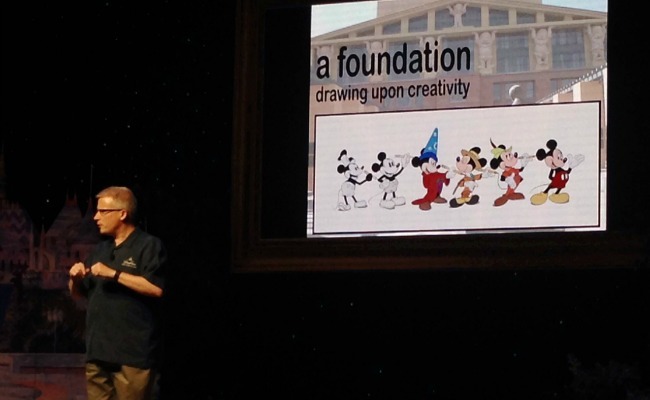 3 Tips to Boost Your Creativity the Disney Way! The biggest enemy of creativity is knowing too much. I can’t tell you how many projects died in my brain before I ever tried because I knew they wouldn’t be good enough or totally accurate or at a level of quality I could never master. Yes, attention to detail is important to an extent, but not so much that it kills the idea altogether. Get started and see how your ideas develop. If it doesn’t work, you will know. Here’s a little writer’s tip – the more you write, the better you get at writing. My content vastly improves and I get more ideas when I take time to write every day. So you could say, creativity begets creativity. And while there is some debate on this topic, I believe there is a major truth there. 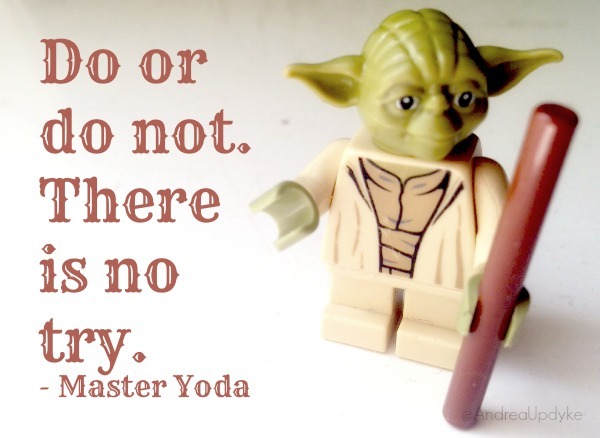 Or as Master Yoda would say…. In other words, you have to actually do things to see if they work or not. That is part of the creative process. It’s ok to take risks and be inspired by your mistakes. I loved this example from our conference day. What started out as a typo turned into a great video idea for the Disney Parks Blog. An online search for “Dapper Dans” instead was typed as “Diaper Dans” by accident. The result? See for yourself! Do you need to shake up the way you are telling your story? I tend to be a routine person and I see this a blessing and a curse. Routine can definitely be an enemy of creativity, but it doesn’t have to be that way. There are bits of inspiration all around you and me. We just need to pay attention and take a step outside our comfort zones to see where they will take us. What mistakes can help you tell your story? We were reminded of how kids are proud of their work and it’s so true. They run to us to show a drawing (or in my case Lego figure) they made, grins beaming with pride. As adults we often start with I’m sorry it’s not exactly how I envisioned it or some such iteration of an apology. And we need to stop that! Just stop. Being creative is a risk, but what you create is entirely yours. Be proud of your ideas. Be proud of your work. Sure, you will see it improve and may even cringe at some of your past creations. But that is all part of the process. If you are enjoying yourself and using your creative outlet, you are winning. My challenge to you (and to myself) is to take off that over-thinking cap and get started. Write some words. Paint something. Make a video. Take some photos. Do the things you love and keep doing them. Take some time each day to feed your creativity. And don’t forget to have fun with it! Creativity can change everything if we let it. I paid a conference fee to attend the Disney Social Media Moms Celebration at a deeply discounted rate. As a part of this conference, we were provided with complimentary items, special discounts and other benefits such as food and entertainment so that we could experience the magic of the Disneyland Resort. I was not asked to blog about my experience. All thoughts in this post are my own.